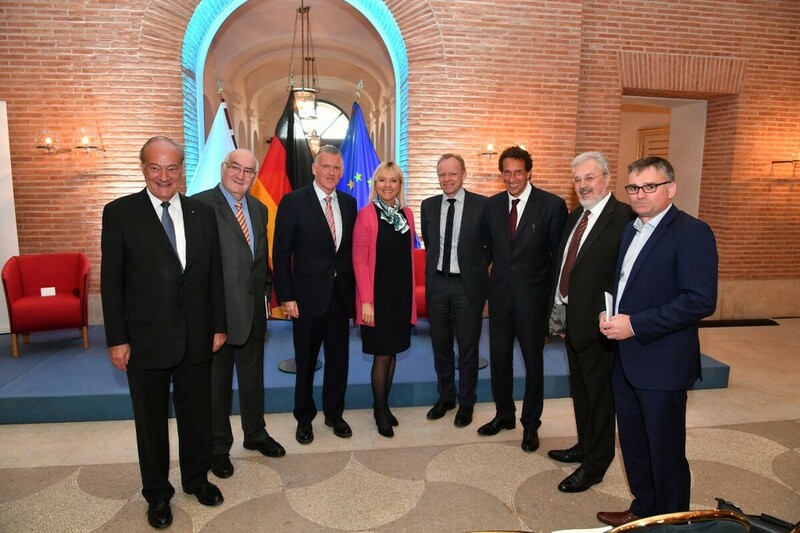 Together with the Bavarian State Chancellery, EASA organised a panel discussion on “Next Europe – auf der Suche nach einer Sicherheitsstrategie” within the framework of the event series of the project “Next Europe”. Following the welcome addresses of Minister Dr. Beate Merk and EASA President Prof. Dr. Felix Unger, Prof. Dr. Werner Weidenfeld gave an introduction to the topic. After the key note speeches by Stefan Kornelius, Prof. Dr. Klaus Gretschmann, Prof. Dr. Julian Nida-Rümelin, Prof. Dr. Clemens Fuest and Dr. Erich Vad, the panelists discussed the issue of security from different perspectives, such as economic stability, and security and defence policy.